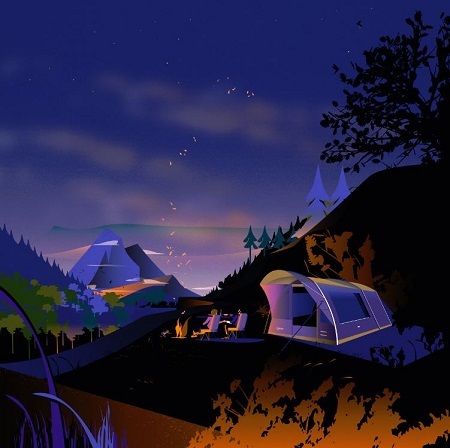 Leading UK outdoor equipment manufacturer, Vango, is launching a major new immersive illustrative style for its brand, in what it claims represents a “radical” move for the company. The recently launched brand campaign will see the company adopt a new strapline ‘For wherever you go’ as well as new marketing campaign and collateral, including advertising, brochures, retailer point of sale and event materials. 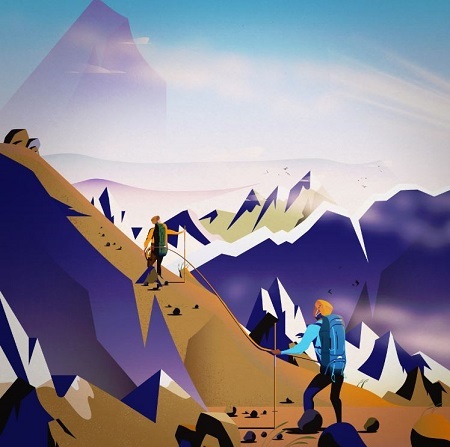 The artwork will be showcased within the Vango Gallery at the Kendal Mountain Festival (November 15-18), the main social event for outdoor enthusiasts in the UK. At the end of the weekend Festival, the framed illustrations, which have been signed by artist Marcus Marritt, will be entered into a prize draw with all proceeds going to Mountain Rescue. Robert Birrell, Vango Marketing Director, said: “The Great Outdoors is a place to explore, make memories in, to reach the edge of your limits, or just spend quality time together. It’s a place for adventure, for any adventure big or small and we want our kit to be part of that journey. Alongside the introduction of a new brand tagline, the new marketing campaign will see the introduction of a new identity for the Scottish based outdoor brand. Vango has collaborated with local Glasgow based artist, Marcus Marritt to create a series of new illustrations that will accompany this year’s campaign. Reminiscent of the classic travel posters and adverts from the golden age of rail, the images convey a sense of exploration and freedom. The unique illustrations are a radical departure from previous brand imagery and the minimal style is hoped to be instantly recognisable and provoke an emotive response from customers. Robert Birrell, added: “We loved Marcus Marritt’s work as soon as we saw it. His designs are eye-catching and his style is distinctive – similar to our own products. As one of the UK’s leading outdoor brands, and being based in Scotland ourselves, Vango has always been passionate about championing local Scottish talent. With Marcus based just down the road from us in Govan, the location that inspired the Vango name, there was no doubt that we had to incorporate Marcus’ works into our marketing plans for the coming year. Operating since 1966, Vango has a long heritage developing and designing cutting edge outdoor equipment, including pioneering new tents, rucksacks, awnings, furniture and camping accessories. Headquartered in Port Glasgow, Vango products are now available to buy in over 30 countries.